Our peaceful area is perfect for relaxation, but we’re no stranger to excitement, too! Consider this your formal invitation to come and celebrate at our favorite annual events on the Eastern Shore of MD! Whether you’re watching fireworks on the waterfront or enjoying the flavors of our food festivals, you’re in for a treat. Get your pen out and mark your calendar for these upcoming celebrations — you’ll be living it up on the Eastern Shore before you know it! If you need a comfortable place to stay nearby, we can help. Simply explore our variety of vacation rentals and find your happy place today! Spring on the Eastern Shore of Maryland is a celebration of the area waking up after its winter slumber — boats are launching, the water is glimmering, and the flora is blooming. Dust off the cobwebs from a long, cold winter and say “hello” to the springtime with one of these local events. You can indulge at a local food festival or jumpstart your exercise routine and explore the scenery with an athletic competition. Local tip: Easter weekend is always a popular time to visit, so reserve your property early! Treat your taste buds to seven days of delicious flavors! Participating restaurants offer prix fixe lunches and dinners, many with special menus designed to showcase their finest dishes. Our local chefs are sure to cook up something special for the 10th-anniversary celebration! WineFest is Maryland’s premier wine event, featuring hundreds of highly rated wines at tasting venues in St. Michaels. You’ll get to taste wines from right here in Maryland and from across the globe. Cheers! Get the family together and enjoy a full day of excitement in Oxford, MD! This year’s attractions include a parade, live music, ferry rides, and a dog show. There will be plenty of food and kid-friendly activities throughout the day. Lace up your running shoes and explore the beauty of St. Michaels at the annual Running Festival. It takes place in one of the oldest waterfront towns on the Chesapeake Bay, offering gorgeous views along the waterfront and throughout the community. Adults can choose between the half marathon and 5k races while children are welcome to try the 1k Kid’s Fun Run! Don’t forget to join your fellow runners for an after party in Downtown St. Michaels! Triathletes swim 1.2 miles in the waters of the Choptank, cycle 56 miles through the stunning Blackwater National Wildlife Refuge, and run 13.1 miles through the streets of the town for a total of 70.3 miles. Are you up for the challenge? Ahhhhh, summer — the season we wait for all year! Summer, itself, is an event, with endless activities to enjoy. Some of our favorites include swimming, boating, crabbing and fishing, kayaking and paddleboarding, and strolling through our quaint towns. Vacationing has never been so relaxing when all you have to do is step outside to take in the Bay breezes or relax by the pool. The week of July 4th is extra special, with waterfront fireworks in several towns, an old-fashioned carnival in Easton, and several small-town events and celebrations. Awaken your inner creativity at this year’s Plein Air Easton Art Festival! It’s the largest of its kind in the country, inviting talented artists from across the country to showcase their abilities. Visitors are welcome to view and purchase artwork, attend demonstrations, listen to lectures, and more. Nothing compares to celebrating Independence day on Maryland’s Eastern Shore! With several fireworks displays throughout the area — many of them waterfront — carnivals and big-band shows, there are plenty of ways to celebrate our nation’s birthday. It’s fun for the whole family! Enjoy an evening of live music, food, and waterfront fireworks beginning at dusk. We recommend bringing blankets to sit along the beautiful campus of the Chesapeake Bay Maritime Museum and enjoy the show! This celebration combines small-town charm with a fireworks display that never disappoints. Grab dinner at one of the local crab houses before the show, then walk to the Tred Avon Yacht Club to watch the fireworks light up the sky. The old-fashioned Easton Carnival wraps up with an Independence Day extravaganza of music and fun, with a finale of fireworks at dusk. This is the area's main show which earns a spot in the hearts of onlookers each year! Marvel at a breathtaking Fourth of July display over the Choptank River. The show begins at dusk with the best viewing spots at Great Marsh Park, near Somerset Avenue and Hambrooks Boulevard, as well as Long Wharf Park, near High and Water Streets. Bring your lawn chairs and snacks and enjoy the show! Catch a piece of the excitement as 2,000 triathletes from across the globe take on a 140.6-mile triathlon in and around Cambridge, MD. This is one of only a dozen IRONMAN full-length triathlons in the country! Have you ever seen a boat docking contest? It’s one of the many family-friendly events at the Tilghman Island Day Festival in October. There’s also a rowboat race, anchor throw, oyster shucking contest, and so much more! Come and check out the fall foliage in its peak, sip on hot apple cider, and carve the perfect jack-o-lantern for Halloween! Watch, think, and discuss a wide variety of films at this year’s Chesapeake Bay Film Festival. You can catch viewings at five different venues in October. It’s a cinephile's dream! You can’t visit the Eastern Shore of Maryland without immersing yourself in the world of sailing. Downrigging Weekend is an excellent opportunity to do so! You’ll see schooners, musicians, fireworks, and more along the waterfront. You can even set sail on your own adventure! Celebrate everyone's favorite bivalve with live music, demonstrations, and oysters cooked any way you want them in St. Michaels, MD! It’s one part art show, one part sportsman’s expo, and 100 percent Eastern Shore! Local tip: Reserve early — properties for this event book quickly. Whether you’re looking for a large family home to gather with loved ones or a cottage for a quiet weekend, our properties are perfect for your ideal Thanksgiving holiday. Find out why St. Michaels, Maryland, is consistently named as one of the country's best Christmas destinations! Say goodbye to one year and hello to the next on the Eastern Shore! It’s a beautiful place to usher in 2019. Head into Downtown Easton the first Friday of every month to view incredible work by local artists and enjoy light refreshments. On the second Sunday of each month, Downtown Cambridge invites you to stroll through the community, explore art galleries, indulge in free refreshments, and more! Check out the Easton Farmers Market every Saturday, rain or shine, from 8:00 a.m. to 1:00 p.m. You can support local farmers, pick up fresh foods, and listen to live music as you shop! If you’re in the St. Michaels area, make sure you stop by the St. Michaels Farmers Market on Saturdays from April through November! You can find all the local vendors in the heart of town near the library. Plan a Getaway for Your Favorite Eastern Shore Events! Have you marked your calendar for your favorite celebrations? The next step is finding your ideal property nearby, and we make it as easy a few clicks of your mouse! We have beautiful homes, cottages, and estates throughout the Eastern Shore’s most charming towns. Whether you’re attending a festival in St. Michaels or an oyster shucking contest on Tilghman Island, we’ll help you get there. 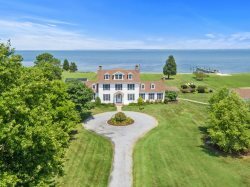 Explore our wide variety of properties and get one step closer to experiencing these remarkable events on the Eastern Shore of MD!